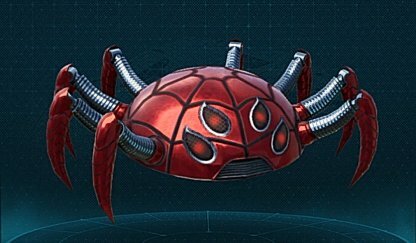 Check out this Spider-Man PS4 guide and list about nifty tools called gadgets! Find out more about the best gadgets, gadget upgrades, and more! The first gadget you'll be equipped with, the Web Shooters are one of the most important in the game. Upgrade them first to increase their shot capacity to be able to web up enemies more! 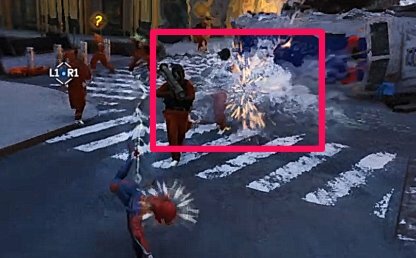 When thrown, the Electric Web stuns enemies it hits & sends out an electric current to stun enemies near it. It's a useful gadget when facing several groups of enemies. Web Bombs will instantly web up multiple enemies within the proximity of the bomb, making them an easy target to throw on walls and floors. 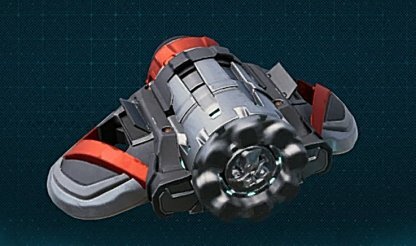 This gadget can instantly finish off an enemy caught in this bomb and are especially useful when engaging multiple enemies stealthily. Use this in conjunction with Web Shooters to lure your target to the trap. Rapid Fire Web Shooters. Shoot enemies near walls to stick them to walls. 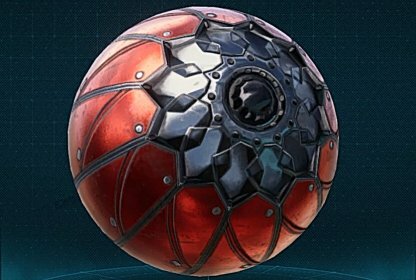 The Web Shooter gadget is already available for use at the beginning of the game. Web Shooter Recharge Time Web Shooter refills faster. Increased Gadget Shot Capacity Add 2 Shots to the max Web Shooter capacity. Web Shooter Recharge Time II Web Shooter refills faster. Web Shooter Webbed Time Increases time enemies stay webbed. Powerful web blast that instantly webs up enemies. 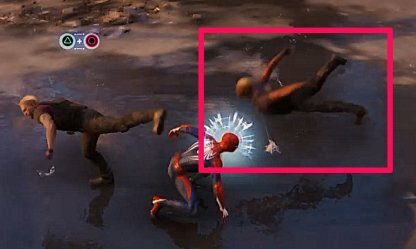 The Impact Web gadget is obtainable after finishing the Fisk Hideout mission. Increased Gadget Shot Capacity Increases maximum shots for this gadget by 1. Impact Web Knock Back Range II Impact Web knocks enemies further back. Impact Web Cascade Enemies knocked back by the Impact Web will spread their webbing to enemies they collide with. 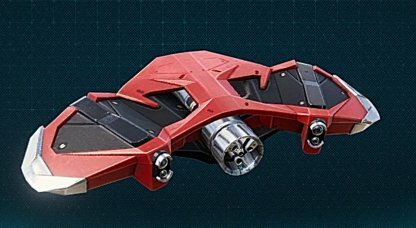 Deploy a Spider Drone which will seek out and fire an energy blaster at nearby enemies. 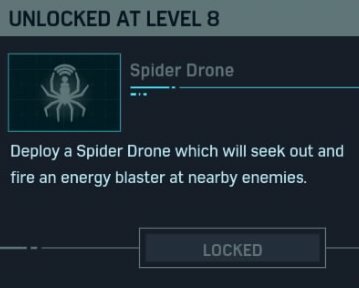 The Spider Drone unlocks in your gadget list once you hit Level 8. You need to craft it using tokens (1 x Base; 3 x Research) in order to equip & use it in combat. Backup Batteries Drones can fire more shots before deactivating. Overcharge Coils Drone shots deal more damage. Electrified web that stuns targets and arcs to nearby enemies. The Stun Gun is required to obtain the Electric Web. Story progression is needed to obtain it. 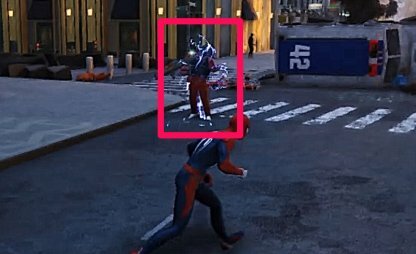 Electric Web Stun Time I Enemies hit by Electric Web remain stunned longer. 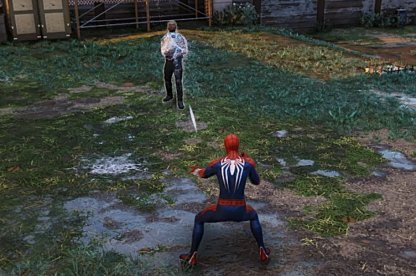 Electric Web Stun Time II Enemies hit by Electric Web remain stunned longer. 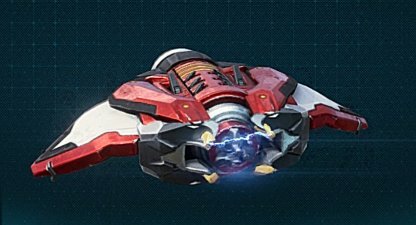 Electric Web Improved Arc Radius Electric Web arcs to enemies farther away. Proximity-triggered explosive that instantly webs all enemies in range. 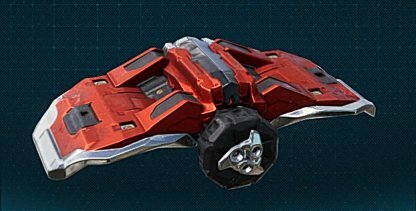 The Web Bomb Blueprints can be recovered through the Home Sweet Home mission. Web Bomb Web Radius I Increases blast radius of Web Bomb. Web Bomb Web Radius II Increases blast radius of Web Bomb. Laser activated web trap that instantly incapacitates enemies. 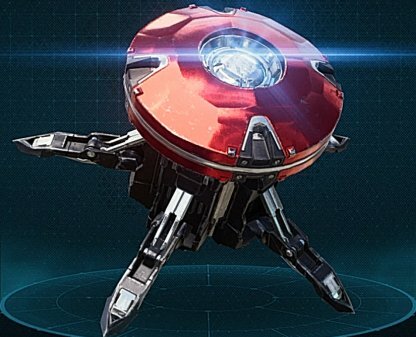 You need to progress through the Spider-Man main story to obtain the Trip Mine gadget. Discharge a pulse of sonic waves that sends enemies flying. 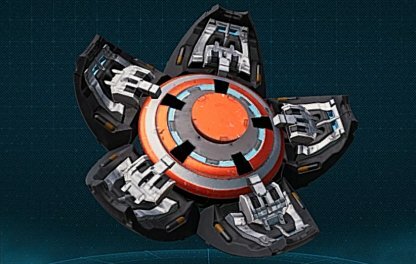 The Concussive Blast gadget is craftable from your gadget list when you reach Level 10. You need 2 x Challenge & 6 x Crime tokens to build it. Expansion Nozzle Wider concussive blast. Super Charger Increases knockback range. Lifts enemies into the air and holds them there for a short duration. You can craft the Suspension Matrix gadget at Level 25 using 2 x Base & 4 x Challenge tokens. Suspension Matrix Duration Suspension Matrix lasts longer. Suspension Matrix Radius Increases radius of effect. Heavy Lifting Can lift Brutes into the air. Gadgets are Spider-Man's tools that help him get the upper hand in combat. They have incredibly useful abilities that make every fight a unique one. You will be unlocking new Gadgets by leveling up. After unlocking them, you will need to use your Tokens to craft / enable them for use in combat. 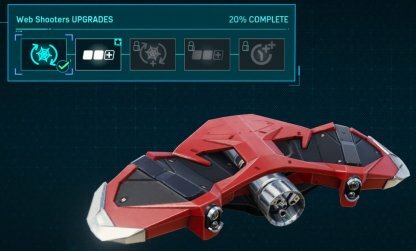 Upgrading gadgets will improve shot capacity, increase damage, or elongate effects. Collect tokens in-game to upgrade your objects. Gadget upgrades are progressive so you need to activate the first gadget upgrade before being able to activate the next one.